Whether you're looking forward to lighting the first candle in the menorah tonight, burning (or eating) a Yule Log on the 21st, hanging a stocking by the chimney with care on the 24th, or just settling in for the annual reruns of The Wizard of Oz, The Italian Job and The Great Escape on the telly, so much of December involves negotiating holiday traditions, rituals and customs...our own and other people's. Write a flash about a tradition, ritual, or custom that means something different to you than it does to your friends, family or community. What did you write, or what do you plan to write about? Does changing it up change anything about your writing? Let us know in the comments, or join us at our Facebook group. National Flash Fiction Day has its own traditional projects, but there is always room for new flash adventures! As we prepare for our 2019 programme, we'd love to hear about other flash fiction projects happening in the UK and beyond that might want to run local events on or around National Flash Fiction Day 2019, or who might want to collaborate in some way. Do you run a flash-friendly open mic night or reading series? Are you part of an online flash project that is interested in marking National Flash Fiction Day in some way? Do you have crazy, flashy ideas that you'd like to explore in June or throughout the year? Or do you know any fantastic flash writers, teachers, journals or projects that you'd just love to tell us about? We'd love to hear from you! 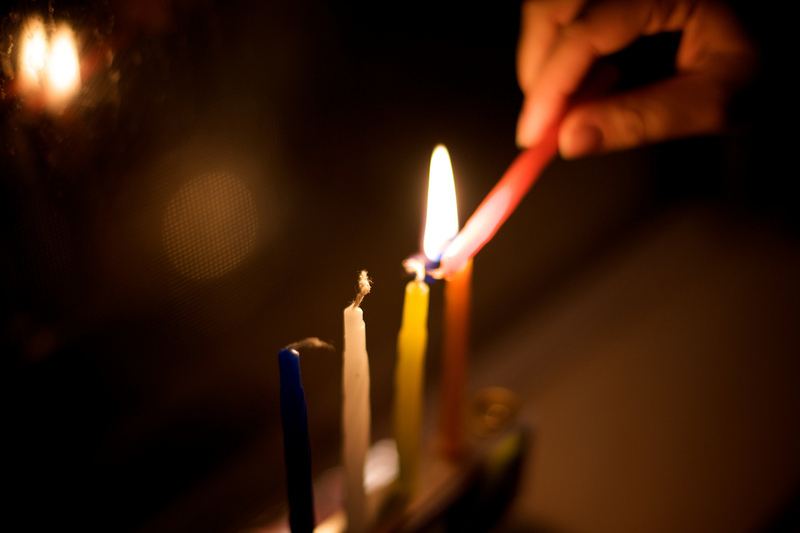 'Lighting the Menorah' by Benjamin Golub is licensed under (CC BY-NC-SA 2.0).